Daguerreotype of George Lippard, circa 1850. Flip to Cover of George Lippard’s The Quaker City, Parts 5 and 7, Philadelphia, PA, 1845. 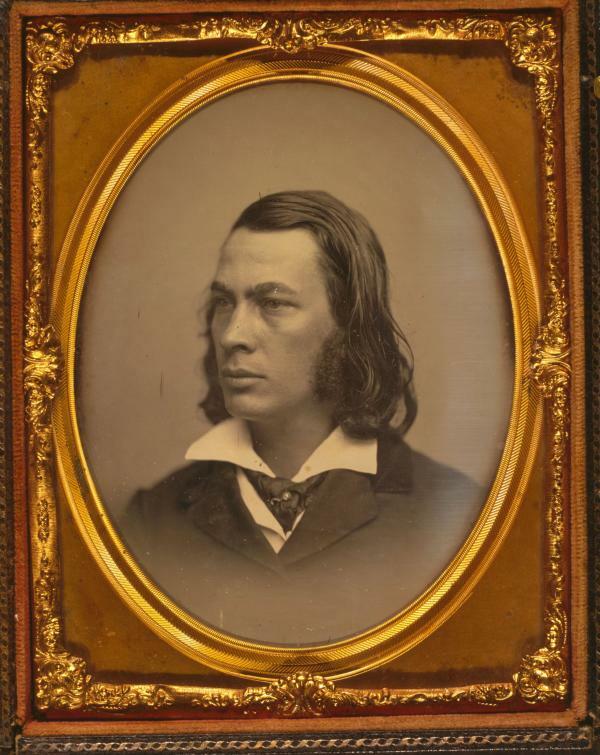 A Philadelphia journalist, labor organizer, and social activist, George Lippard (1822 –1854) also wrote lurid, purple-prosed Gothic novels about the hidden mysteries and miseries of Philadelphia that made him one of the most popular novelists of his day. Lippard buried both his wife and two children before dying of tuberculosis at the age of thirty-two in 1854.